Are you always tight for time and struggle to make it to the gym? The time restraint factor is something that people all across the world deal with. You want to achieve that awesome body, but simply don’t have the time to get yourself in a gym. Well, you’ll be glad to discover that the Bowflex Blaze Home Gym alleviates those problems. You’re able to work out from home and start seeing great results. It allows you to work out your entire body and without costing as much as you may think. Setting up a home gym with different pieces of equipment ramps up the cost of working out. So, why not keep it lower, and save on some space, by using a home gym? To learn more about what the Bowflex Blaze Home Gym has to offer, take a look below. One of the factors surrounding this home gym that impressed us the most is the fact that it enables you to workout using more than 60 different kinds of exercises! This is a remarkable number of exercises that you have available, from within your own home. They all help you to develop muscle and strength in the lower and upper body. It’s common to find home gyms that focus solely on the upper body. But, in order to have a complete and balanced physique, you need to work out your legs just as much. 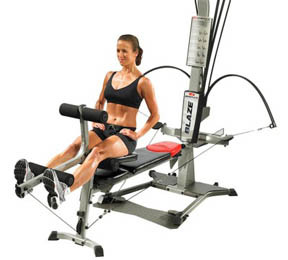 The Bowflex Blaze Home Gym features a fantastic lower pulley system, leg press belt, and a squat bar. Furthermore, there are leg curls and extension attachments available. These are excellent accessory movements that work to isolate your muscles to tone them better. Read More: How to get thinner legs? We liked how the leg curls and extension attachments have roller pads which are thick. They allow you to perform exercises in complete comfort. 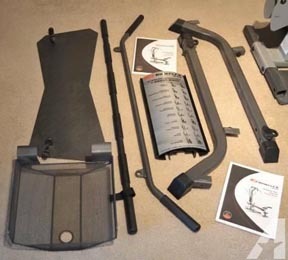 Moreover, users have been comparing the leg attachments of this home gym to the Bowflex PR1000. The Blaze model seems to take the top pick as it comes with a leg curl for training the hamstrings – the PR1000 lacks this attachment. This home gym provides you with plenty of options to give your legs a full workout. This included everything from your glutes, quads, and hamstrings. Another feature that took us by surprise was the lat pulldown bar. It has a unique design which has an ergonomic angle. This design feature allows you to perform back exercises in a more natural motion. As a result, you’re able to feel the right muscles working and reduce the chances of injury. 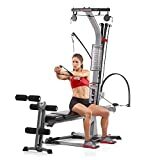 This is a feature that makes the back workout features of the Blaze Home Gym superior to the Bowflex PR3000. Another feature that stands out above the rest from other home gyms is the seating. You’re able to slide the seat into different positions that enable you to perform exercises that feel the most natural for your body. This is especially useful when it comes to training back and legs. The sliding seat function is also fantastic for doing cardio exercises too. You can hold onto the cable pulley system and do rowing movements to improve your cardiovascular health and lose weight. The bench can be easily adjusted too. As a result, you can set it to any angle you like which allows you to target the chest from a variety of angles. For example, using the flat angle is best for the entire chest. But if you wanted to target the upper chest more specifically, you can set the bench to an incline angle. There are power rods available which have a maximum weight capacity of 210 lbs. However, you’re given the option to upgrade and be able to use 410 lbs of weight by adding extra rods. Therefore, the weight options are suitable for beginners, all the way up the more advanced trainers. They also include instructions which guide you on a workout that lasts for 20 minutes. Beginners have been appreciating this the most as it gives them an idea of where to start getting their body in shape. For the chest exercises using the bench, you could choose to use the built-in resistance rods or use your own free weights. There is a variety of hand grips available with this home gym. Having a range of grips available to use helps you work out different body parts with a better ability to isolate separate muscles. Users have been liking this feature a lot as it adds an element of versatility which can be hard to find in home gyms. 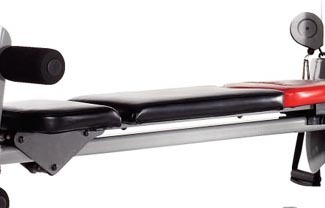 One of the biggest attractions to the Bowflex Blaze Home Gym is its folding feature. This allows you to easily fold the entire gym down into a more compact size. As a result, you’re able to move it to more suitable spaces for storage when you’re not using it. People who have smaller places have come to appreciate this feature the most. If you don’t have a set area to workout in (such as a garage or spare room) you can keep this gym in storage where it’s out of the way. Whenever you’re ready to workout, unfold it and it’s ready to go. This can save you a lot of space. While there are many awesome features, there are also some potential flaws in this home gym too. Take a look below to learn more about what customers haven’t been so happy about. 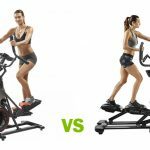 For one, the price is considerably more expensive than many of the other home gyms that are available. This may not be so good for people looking to workout from home who are on a tighter budget. Having said that, the higher price is warranted because of the versatility and high-quality features. You simply can’t find what the Blaze model offers at a lower price. One of the other complaints that some users have reported revolves around the resistance. Some have said that they feel the resistance is lighter than what it says. This could be a result of the rod system which works differently to regular weights. How easy is this home gym to assemble and maintain? We were glad to find that assembling the Blaze Home Gym is pretty easy. While putting it together is straightforward, there are quite a few different pieces that you need to put together. Therefore, it can be a time-consuming job, especially if you’re doing it on your own. To make things easier, we recommend setting it up in the space that you’re going to be using it. Once it’s set-up, you’ll be able to take advantage of the folding feature to move it around. It’s also worth noting that they provide you with some of the tools required. This includes a couple of Allen wrenches. However, you will need to have your own Phillips screwdriver, as well as a couple of other wrenches which are ½” and 9/16” in size. As far as the maintenance process goes, we recommend that you keep it clean on a regular basis. This will help to prevent any dust from clogging places up and decreasing the smoothness of exercises. It’s also a good idea to keep an eye on the various bolts. After using it for some time, some bolts may need to be tightened again. 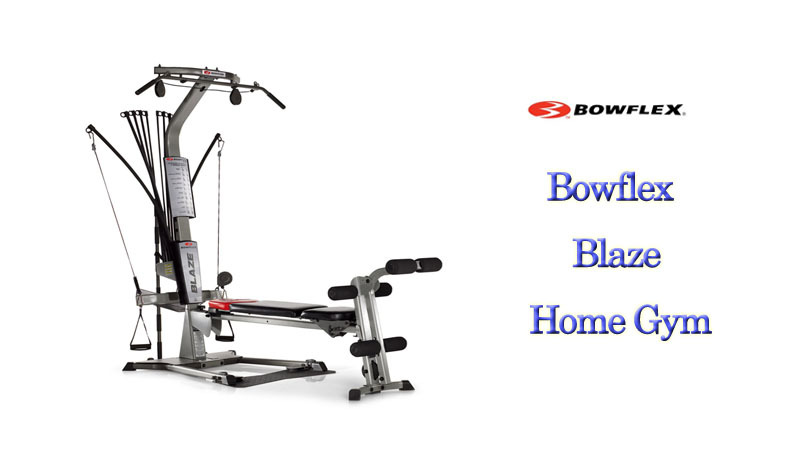 The Blaze model by Bowflex is one of the most versatile home gyms that we’ve come across. With more than 60 different exercises available, you’ll never struggle to get a great workout in from the comfort of your own home. We recommend this home gym for beginners and intermediates the most. They will be able to get the most out of this gym and be able to use it to its full potential. Someone who’s been lifting weights and working out for more than five years may not find it challenging enough. 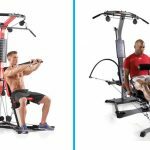 Prior to making a final decision on a home gym, be sure to consider all of the main features and downsides that the Bowflex Blaze Home Gym has to offer. We would also advise that you take into consideration what your main uses would be. If you’re looking to workout to lose fat and build toned muscle, this is an option would be great. By knowing what your fitness goals are prior to buying any home gym, you’ll be able to keep an eye out for the main features that you want to have. This narrows down the options and makes it easier to find the best home gym for your needs. Hopefully, our review has helped you gain some valuable information on the Bowflex Blaze Home Gym!